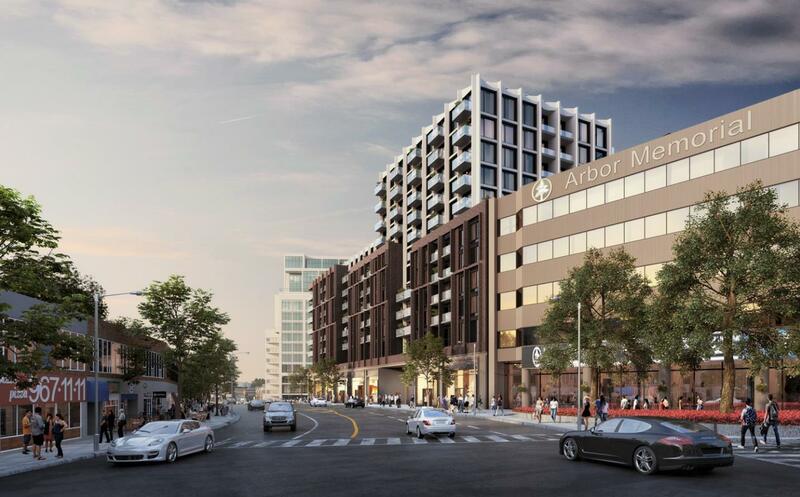 Bijou On Bloor Condos - Maziar Moini Broker Home Leader Realty Inc.
Bijou On Bloor Condos is a new condominium development by Plaza currently in pre-construction located at 2452 Bloor Street West, Toronto in the Baby Point-Old Millside neighbourhood with a 89/100 walk score and a 84/100 transit score. 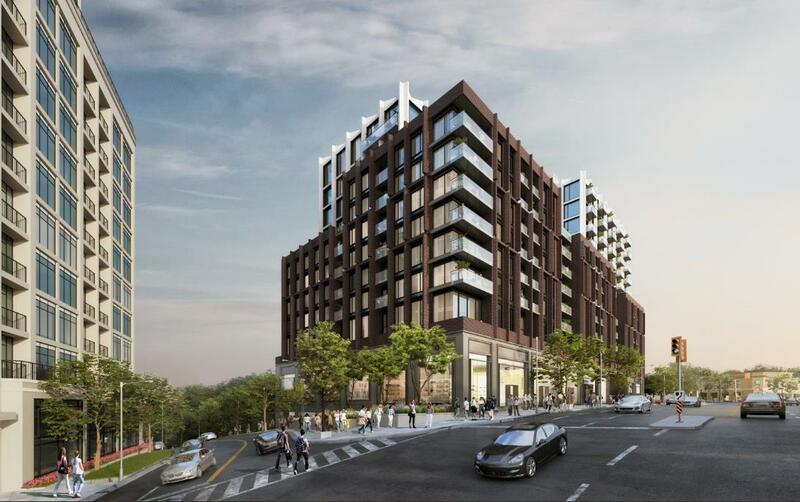 Bijou On Bloor Condos is designed by Quadrangle Architects & NAK Design Strategies. The project is 14 storeys tall and has a total of 244 suites. Bijou On Bloor Condos is currently in Registration Phase. Invest in an architectural showpiece in the charming neighbourhood of Toronto’s Bloor West Village. This up-and-coming high-rise is situated on the northeast corner of Bloor Street West and Riverview Gardens, just west of the Jane Subway Station. Plaza’s proposal calls for a 12-storey mix-used building with retail space on the first floor and 192 luxury residential units occupying floors 2 through 12. Bijou On Bloor Condos by Plaza will be ready for occupancy in 2022. The main residential lobby as well as the planned retail space will front Bloor Street West, featuring plentiful glass and a welcoming streetscape. Nearly two-thirds of suites will be two or three-bedroom units, perfect for the many working couples and young families who call the neighbourhood home. 9 of the units are designated as one-bedroom suites, with 80 one bedroom plus den units, 47 two-bedroom suites, 27 two-bedroom plus den suites and 29 three-bedroom units-- so there’s a floorplan for everyone, regardless of your living style. The project will also include 272 bicycle parking spaces and 331 vehicle parking spaces in a four-level underground garage. Spacious indoor and outdoor amenities will be located on the second floor, giving residents an opportunity to relax or socialize as they overlook a courtyard on the north side of the project. The long list of amenities include an indoor pool, steam room, fitness room, yoga room, catering kitchen, lounge, party room, study area and dining area. The building’s architecture is highly-articulated, with balconies, open terraces, various setbacks and soft landscaping, providing depth, texture and one-of-a-kind aesthetic appeal. Quadrangle Architects is behind the design, a firm responsible for some of Toronto’s most sought-after architectural landmarks. Come see why Bloor West Village is one of the west end’s most cherished neighbourhoods. This Toronto condo development is a short walk to the Jane subway station, in the middle of a quaint strip lined with cafes, shops and Tudor-style apartments. The Bloor West Village BIA (Business Improvement Area) is a busy and robust group, organizing several annual events and festivals in the neighbourhood and keeping the area beautiful, prosperous and livable. The site is just east of the Humber River and its extensive parkland, which has plenty of strolling, cycling and dog-walking trails. You’re also just a subway stop away from Toronto’s High Park, the city’s largest public park, which stretches from Bloor Street West all the way to the Harbourfront and features tennis courts, an outdoor pool, leafy, mature trees and lush vegetation, even its own zoo. When you’re finally exhausted from playing in the park, enjoy a spa treatment or five-star dinner at the historic Old Mill Inn. A diverse group of residents call this neighbourhood home, from students and young professionals to families and mature couples, and it’s easy to see why.